Anyone who has seen cherubic little girls dolled up as “living goddesses” during Durga Puja knows that beyond the surface cuteness, there is something twisted in this practice, an exercise in veneration that manages to be cruel at the same time. After all, no living goddess can actually look like she’s having fun on the gig. The little girl is supposed to be somber and deity-like. Heaven forbid she actually behaves her age. Moreover, in a festival devoted to a goddess, it’s ironic that the one person who seems to suffering most is a girl too young to understand the motivation behind her appearance and enforced discipline. 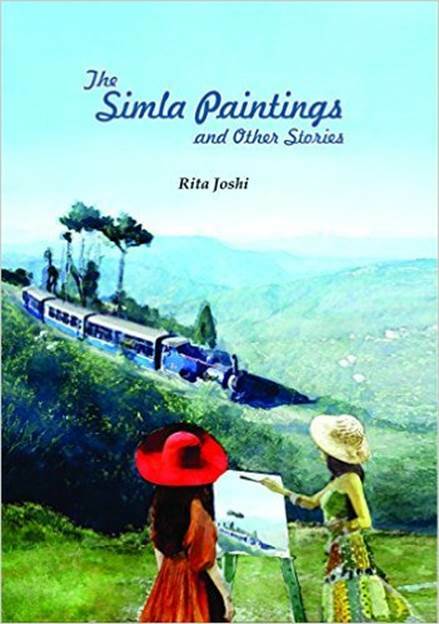 The questions of religion, agency and patriarchy that this situation raises are tackled admirably in The Goddess, one of the six stories in Rita Joshi’s recent short story collection The Shimla Paintings and Other Stories. In the story, Joshi takes us to the fictional Peepulganj, a small town located at the foothills of the Himalayas. Peepulganj is one of those places where the entire economy revolves around one thing that becomes the leitmotif of the place. Here, it is the presence of the living goddess Narirani. Joshi is a professor at Lady Shri Ram (LSR) College and is hence fully aware of her position as an academic commenting upon this. Hence, her decision to tell this story through the character of Anne, a visiting anthropologist, is quite astute. Anne is the proverbial bull in a china shop here, charging at the locals without thinking it through. This is a cautionary tale, make no mistake, and by the end of it, you will be forced to take a good long look at the commercialization of religion. Equally enjoyable is a rather old-fashioned detective story called The Case of the Missing Necklace. The case is one of robbery, a Mughal-era jewel belonging to Mrs. Gupta, gambling addict and wife of a wealthy Delhi businessman. There are suspects everywhere you see: Mrs. Gupta herself, the servants in the house, the surly teenaged son who’s always looking out for extra pocket money, a suspicious, bitchy socialite… enter the detective, the splendidly named Agni Bajaj of the Fiery Detective Agency. Unlike her fire-starting name, Bajaj handles things very calmly indeed. In her investigation of the motives of everyone present, she presents a sociological dissection of the Delhi dilettante circle. Even the logic that she uses to catch the culprit makes a brilliant statement about the way we carry ourselves in public, the way our accents sometimes shift subtly: all geared towards projecting a certain version of ourselves to the world. One hopes to see more of Agni Bajaj in the future; I feel Joshi really has a promising character here and she’ll be well-advised to write about some adventures briefly hinted at in this story. Of the other stories in this collection, I felt Curtain Call worked very well. This story is more like a play written as a series of monologues; I wouldn’t be surprised if it was written keeping the theatre in mind. A group of people mourning the death of a once-famous stage actress start to reminisce, narrating their memories of her. Soon, these memories start to talk to each other, building a subtle history. Slightly underwhelming was the long story-in-couplets, The Awakening. I felt that this story did not represent Joshi’s best work. Indeed, at the end of this story, she reveals that this one was written more than 20 years ago: it was simply added to the collection under review. 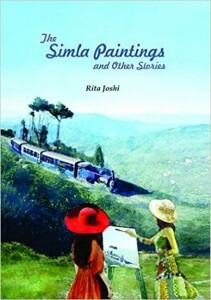 The Simla Paintings and Other Stories is a fine collection on the whole, a book that remains approachable and brisk while not insulting the intelligence of the reader.